Frank Frazetta would've turned ninety-one years old today. He has always been--and will likely always be--my favorite artist. Let's take a look at Frank's legacy in the field of heavy metal/hard rock album covers. It's two great things that go great together. 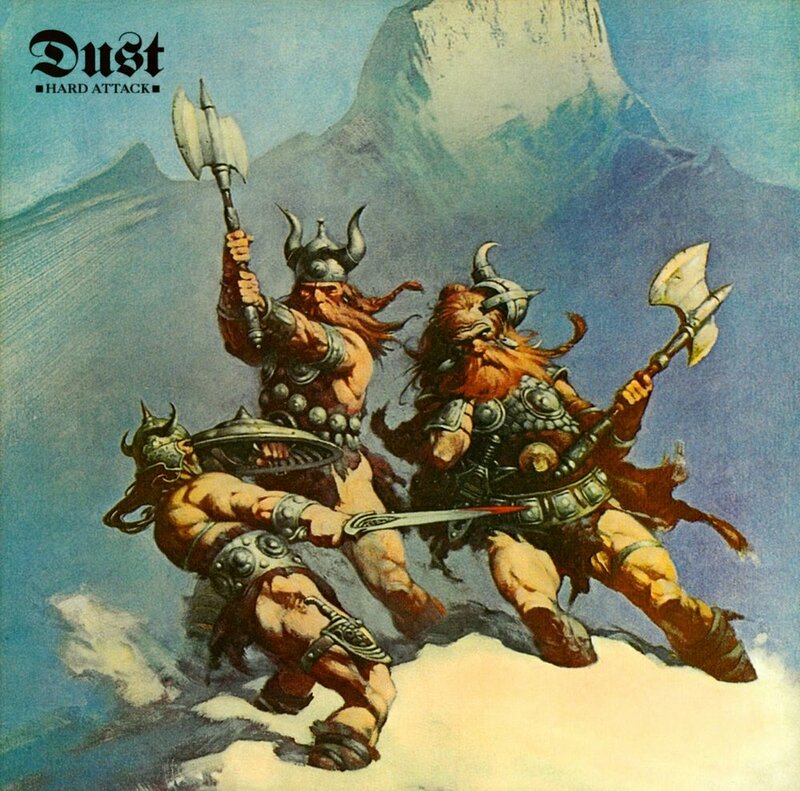 The first metal/hard rock LP to feature a Frazetta cover was the 1972 album from Dust, Hard Attack. As with every Frazetta-covered metal album from then until now, the band used an existing painting by Frank, in this case, "Snow Giants." Frazetta never created a cover for any heavy metal album, simply licensing pre-existing art when a band was interested. 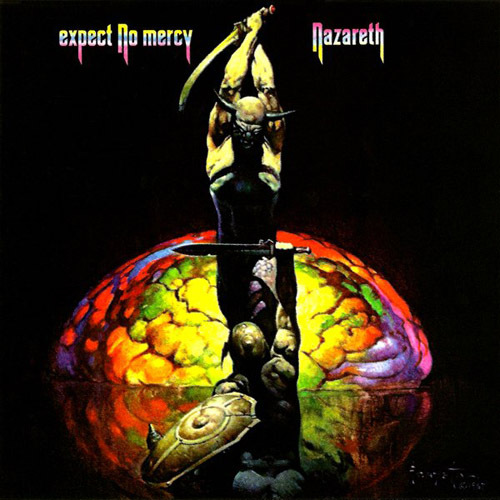 1977 saw Frank's "The Brain" gracing the cover of Nazareth's Expect No Mercy. By far the most famous hard rock covers by Frazetta are what I call the "Molly Hatchet Trilogy." In 1978, the band licensed Frazetta's "Death Dealer." This was followed by LPs sporting "Dark Kingdom" and "Berserker." The artwork for the first album became so associated with the band that I've seen actual newspaper articles stating that Frank painted "Death Dealer" specifically for Molly Hatchet, despite the painting being created before the band even formed. 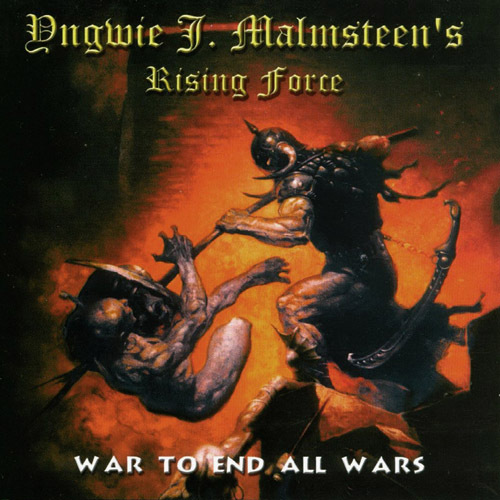 There was a long dry spell from 1980 until Yngwie Malmsteen used one of Frank's later Death Dealer paintings for 2000's War to End All Wars. 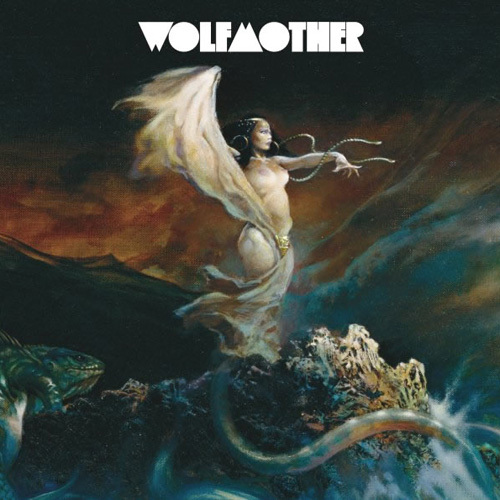 The Aussie band, Wolfmother, used Frazetta art to give some added badass cachet to their musical offerings in a big way. 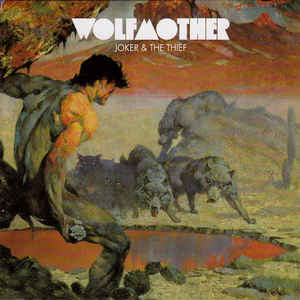 One of their first singles featured a pic cropped from the corner of Frazetta's classic "Wolf Moon" painting. They would later use the main part of the painting for another single (see gallery below). The cover for their debut CD used Frank's "Sea Witch." Two later singles featured "Sound" and "Moon Rapture." Wolfmother wears the bloody crown--for now--when it comes to having the most Frazetta covers in their catalog. 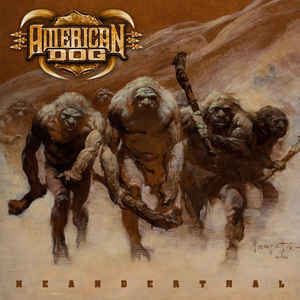 The last and most recent hard rock/metal band I could find sporting a Frazetta cover is American Dog, whose Neanderthal CD boasts Frank's "Neanderthals," appropriately enough.